Manufactured by Rudolph Wurlitzer Co. of Tonawanda, NY. The visible instruments included 13 brass trumpets, 11 brass piccolos, 13 wooden flageolets, 2 drums, and cymbal. 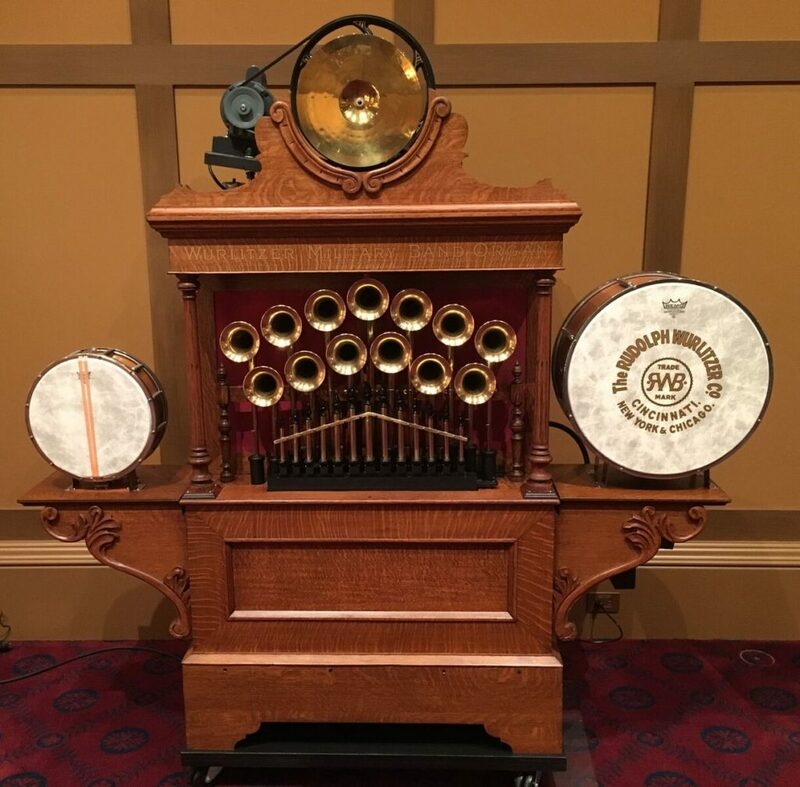 Wurlitzer advertised this organ as “especially designed for small to medium rinks”.� It was the workhorse of the Wurlitzer organs, found in many amusements parks.